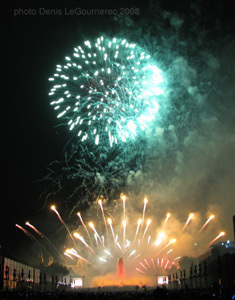 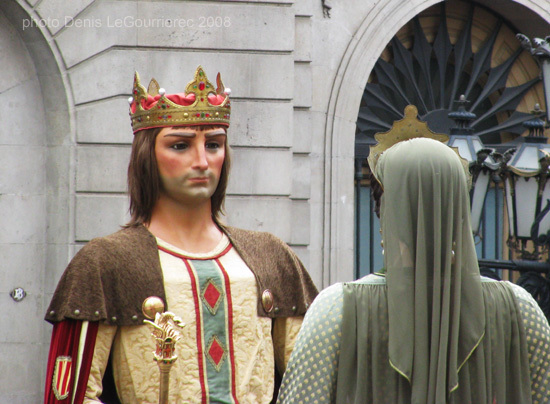 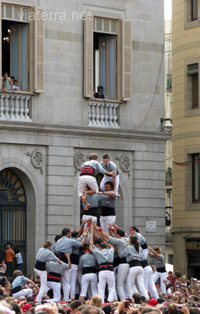 La Mercè is the annual festival of Barcelona, originally to celebrate the Roman Catholic feast day of Our Lady of Mercy, La Mare de Déu de la Mercè in Catalan, on September 24.
taken during the Mercé festival 2008 on Plaza St Jaume. 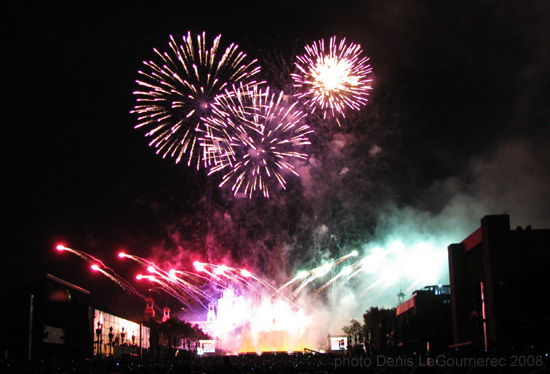 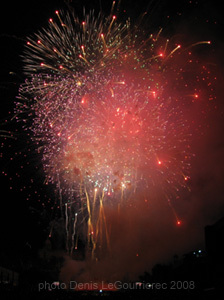 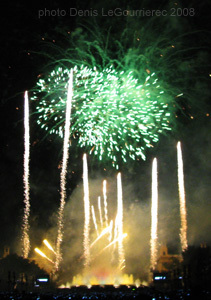 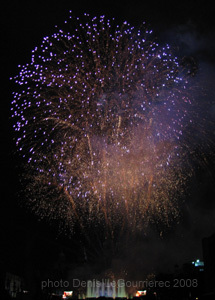 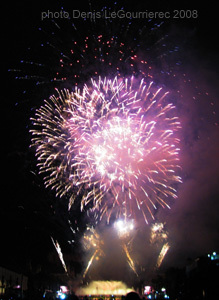 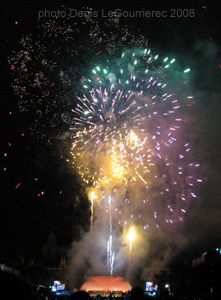 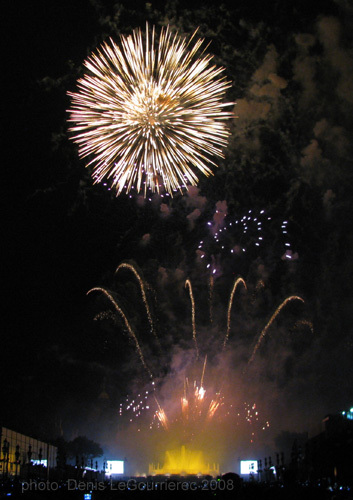 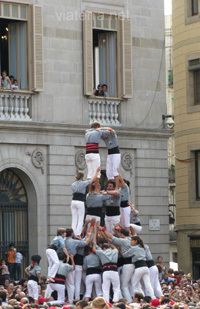 Different districts (bario) such as Gracia, Sacrada Familia, Sants, Poble Sec perform in turn. 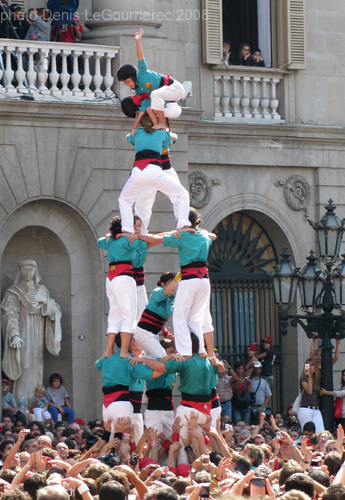 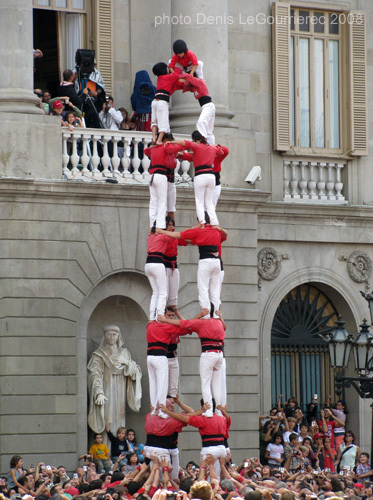 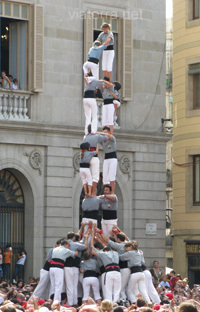 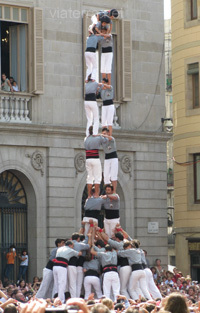 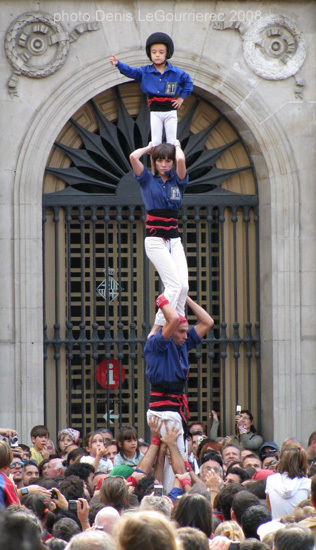 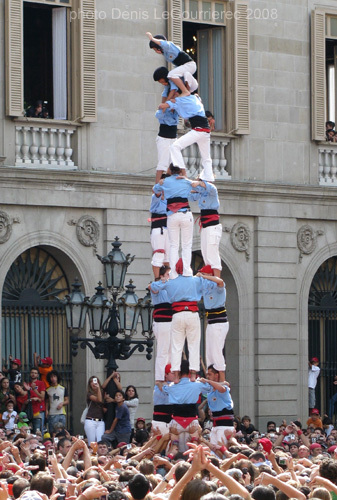 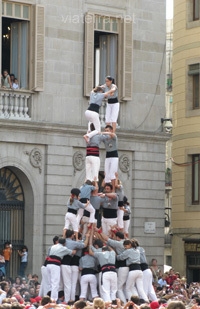 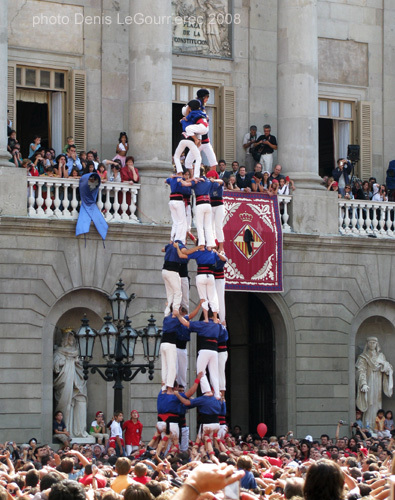 Castellers have the motto: "Strength, balance, courage and reason".